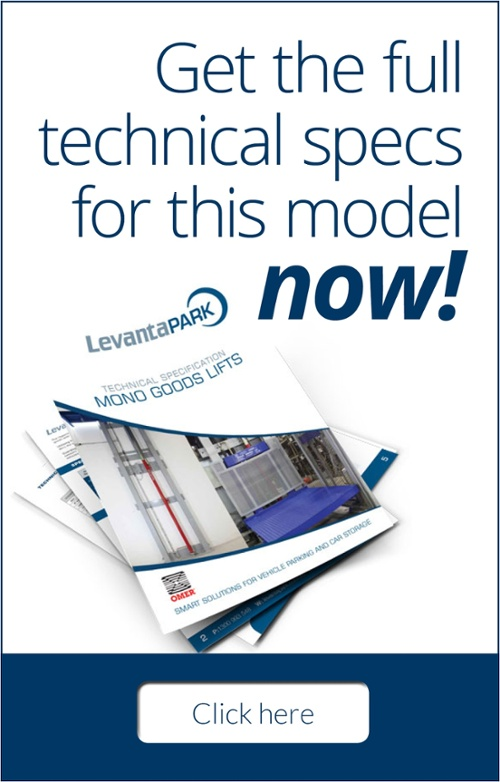 The versatile Mono is an extremely robust industrial goods lift. With a load-bearing capacity ranging from 750kg to 1.5 tonnes, the Mono’s machine structure is rated for heavy duty lifting. With a platform size that can be adapted to suit your needs, the Mono is a highly flexible lift that can easily transport any kind of goods. The Mono’s structure is composed of two columns (welded together to form a single block, ensuring the greatest structural stiffness), and a central hydraulic cylinder connected to a special control unit. The control unit is composed of an oil tank, an electrical panel and an electrohydraulic pump. 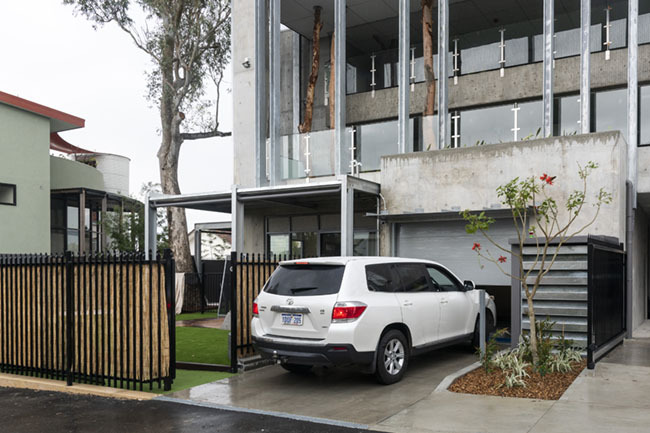 The complete assembly takes up less than a square metre of space, and features easy access for maintenance and control. The column structure is connected by a series of horizontal steel plates, thus making the structure itself even more rigid. The piston is located at the centre of the columns and is proportioned according to platform capacity. The main parts of the Mono unit (including all electrical connections and the junction box) are positioned between the two columns. This arrangement offers easy access for periodic maintenance and servicing requirements. The Mono industrial goods lift has low voltage electric limit switches to provide for two speed operation. These systems can be adjusted according to your individual needs. When the platform passes the limit switch, it first activates the slow down switch and then activates the stop command. 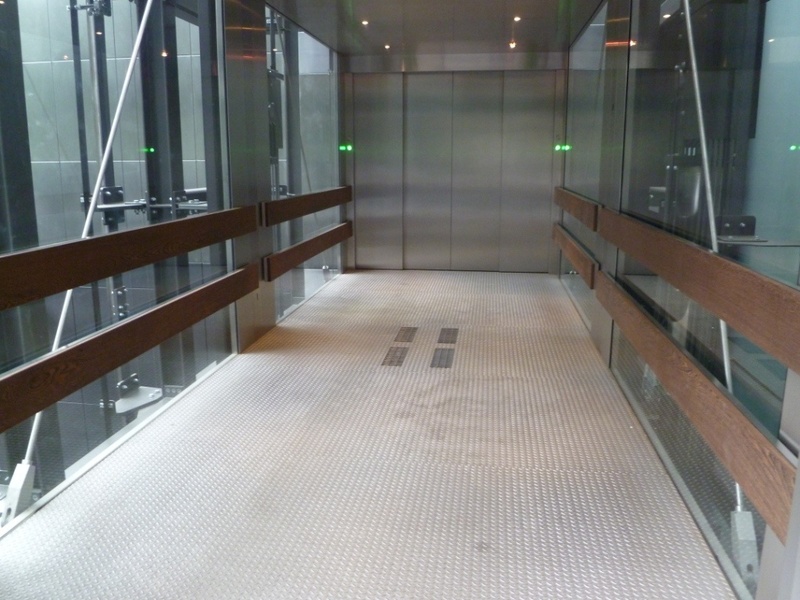 The Mono industrial goods lift’s structure is made of transverse tubular profiles running along the entire platform. This arrangement ensures extraordinary sturdiness and the capability of lifting significant weight of up to 1.5 tonnes.